The Head Chambers junior sleeveless shirt is made from a breathable material with moisture management properties to ensure excellent comfort during the game. It also features a specially integrated UV protection that helps reduce the penetration of dangerous sun rays. To ensure excellent freedom of movement the shirt has a sleeveless design and a 3-button placket. It also features side cuts for an optimum fit and a collar for an elegant look. 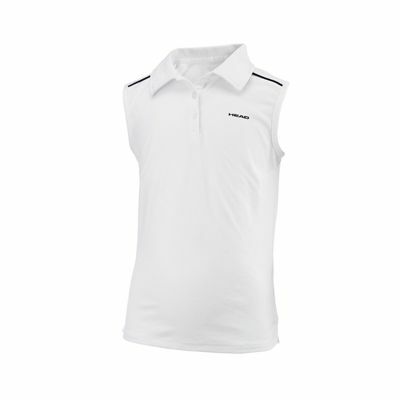 for submitting product review about Head Chambers Junior Sleeveless Shirt.